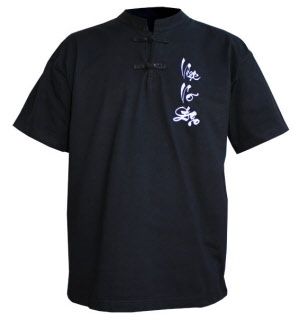 Tee Shirt with nice mandarin collar, 2 chinese buttons. Wide cut, suitable for martial arts practice. Sobriety and elegance, to wear in any opportunity . 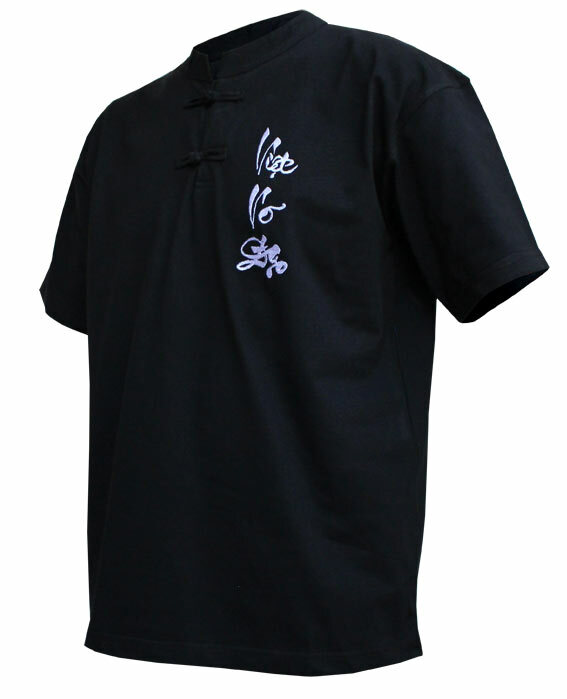 Available in white or black color. 100% cotton fabric 190 grams. VIET VO DAO embroidery at the heart side.